The worst thing you can do is waste your precious time and post the “wrong” photos. Do you know what types of post help you grow? 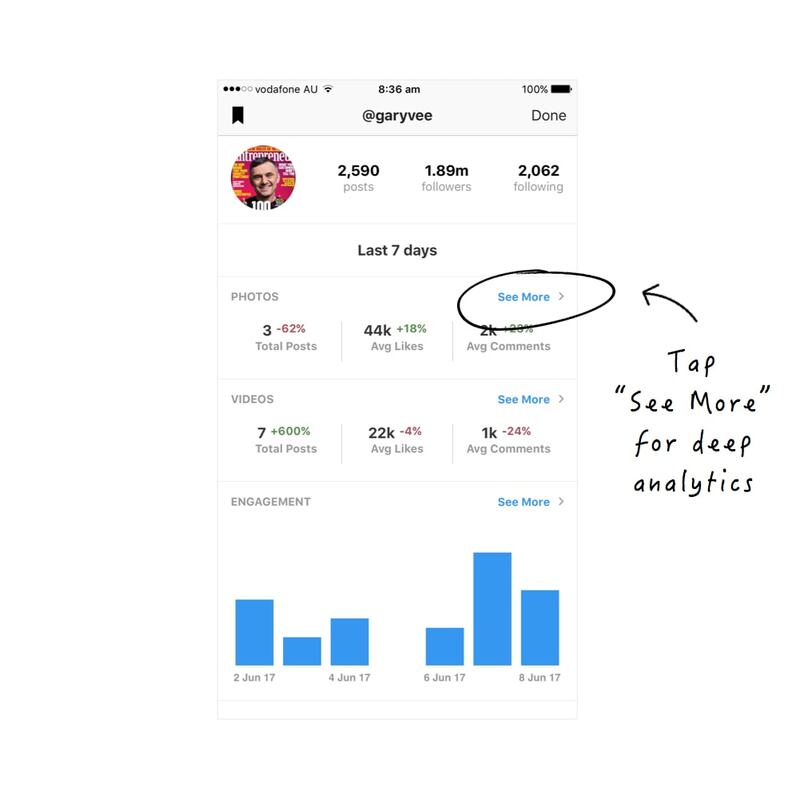 There’s no secret: you need to dive in your Analytics. Trust me, it’s not hard. You don’t have to be a numbers person. 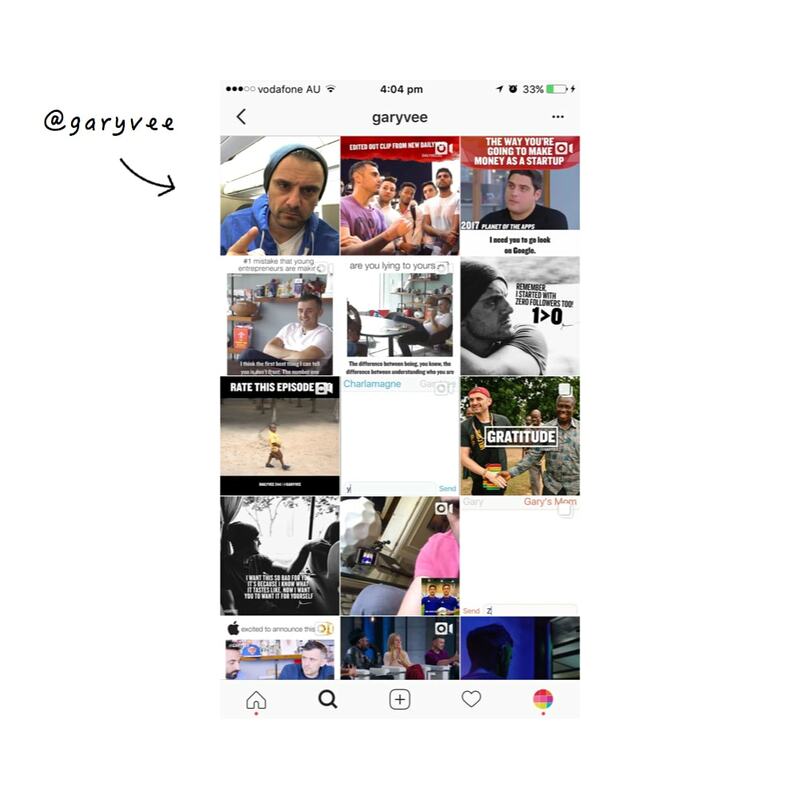 I found a great scenario for this blog post: Gary Vaynerchuck (@garyvee)’s Instagram account. He is very active, posts a mix of photos and videos. 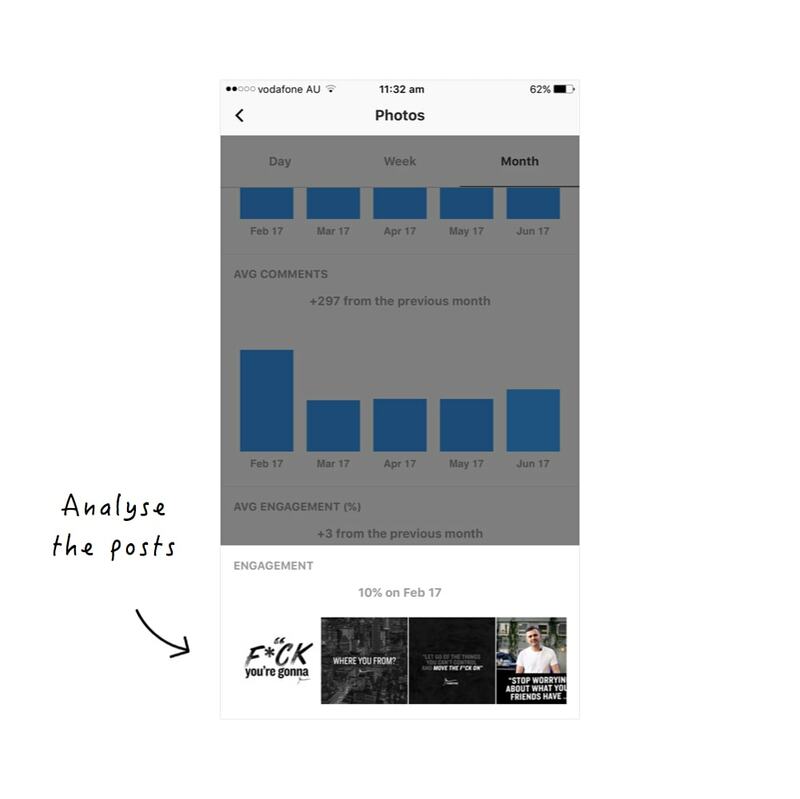 His account might not be the best looking, BUT it is a good case study to see how you can read your own Instagram Analytics to make the best decisions for your account, no matter what you post. The first thing I want you to check is your weekly summary. It is the first section in Preview Analytics. In general, do people prefer your photos or your videos? How many times a week do you usually post? Have you been posting less or more? Have you been increasing your engagement lately? Make a note. This summary will be your starting point. You will grow from here. For the sake of this article, I’m going to focus on photos. 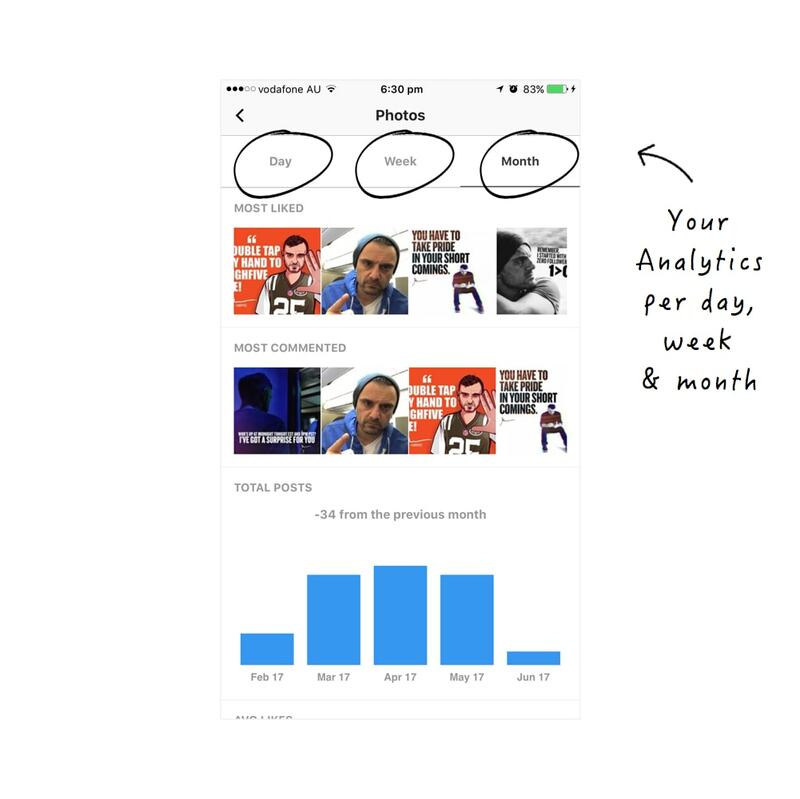 You will see your posts Analytics by day, week and month. 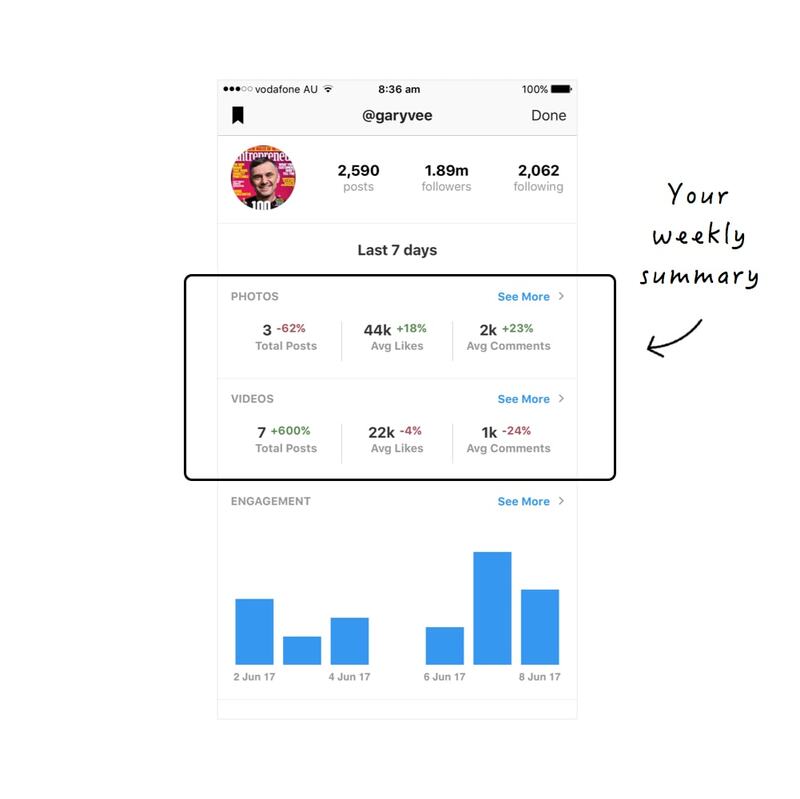 I like to go straight to the Monthly Instagram Analytics. Why? Because Instagram is moving so fast! We’re pushing so much content out there that sometimes we get sidetracked. It’s always a good idea to go back to see what worked. Once you are in your monthly analytics, find a spike in your likes, comments and engagement. I like to always check spikes in comments and engagement. 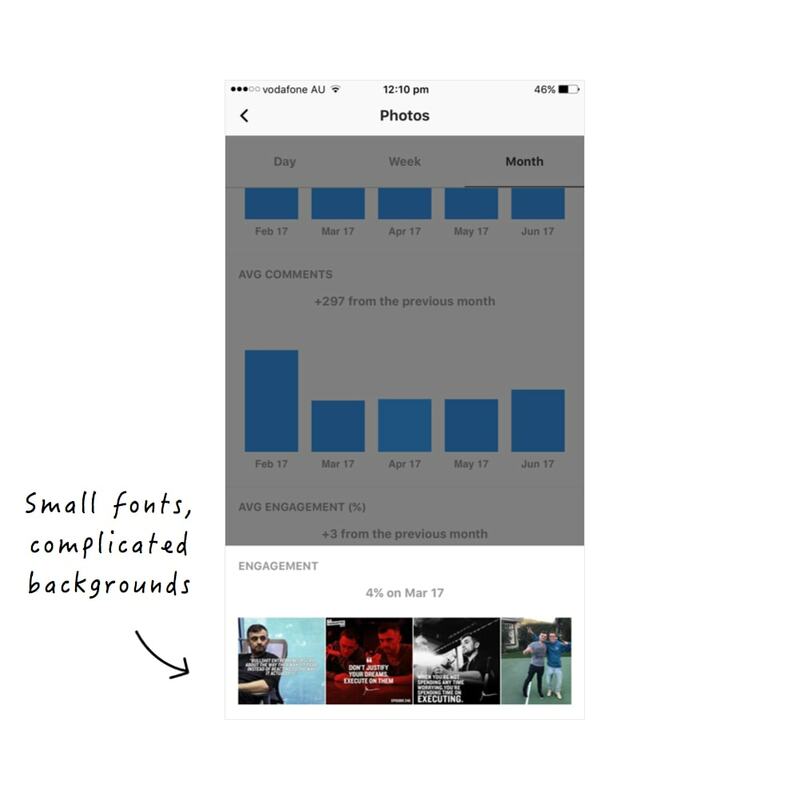 These are the two main metrics that signal to Instagram that our account provides content that people love to interact with. If people interact with your content, Instagram will show you more on the home feed of other people, Explore page and potentially Top 9 photos in the hashtag search result. 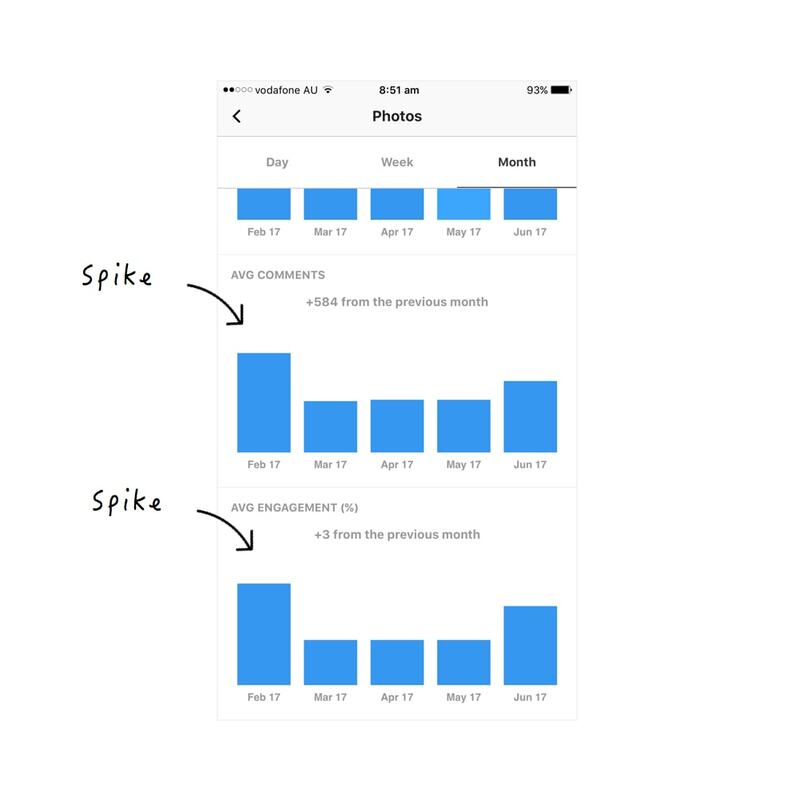 Can you see a spike in your Analytics? If yes, this spike is your benchmark. If not, go in your weekly analytics instead. You might need to go in more details to see which post helped boost your account the most. If this doesn’t help either, you might need to refresh your content (including your hashtag groups). I’m assuming most of you will see a spike somewhere. Let’s continue. Now tap on the blue bar / spike, under the “Engagement section”. You will see the list of the photos you posted that month and your engagement rate for the month. 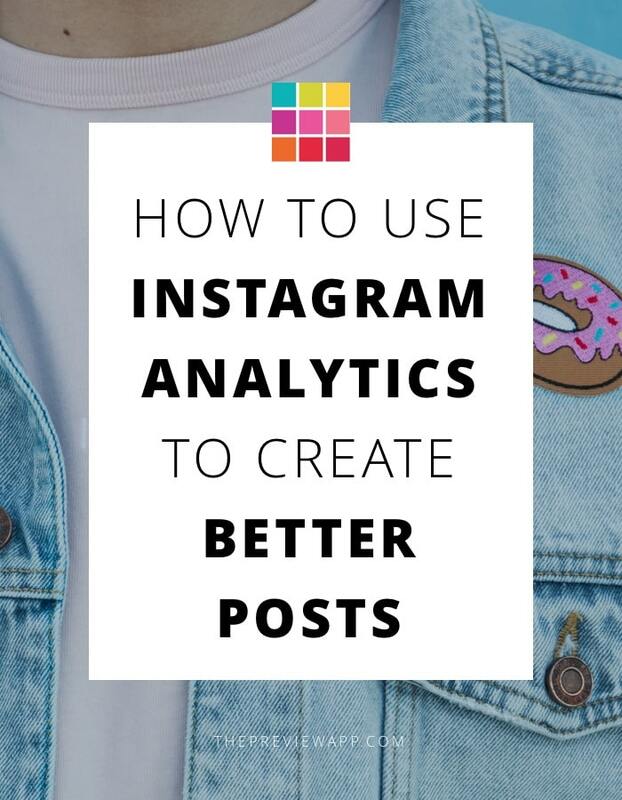 Time to analyse your post and find patterns. Font sizes & styles: Did people prefer large fonts or small fonts? Background colors: Which color caught their attention the most? Background of the photo: Is it clean or complicated? Subjects in the photo: What caught their attention? People, objects, animals, food, flowers? Selfies vs landscape: What do people prefer? Colors in the photos: bright, dark, colorful, black & white? Try to apply this process to your own photos and take notes. Alex, does it really matter to go in so much details? Yes it does my friend! Your engagement could fall the next month if you don’t pay attention to what people love on your account. Q: Did he use the same type of images that got him the most engagement the previous month? Note: Of course, there are other parameters that can affect the outcome. Posting less, changing hashtags, changing your scheduling time. That’s why I so strongly recommend you stick to a schedule. Also look at your caption for your top performing posts. Did you write something people connected with? 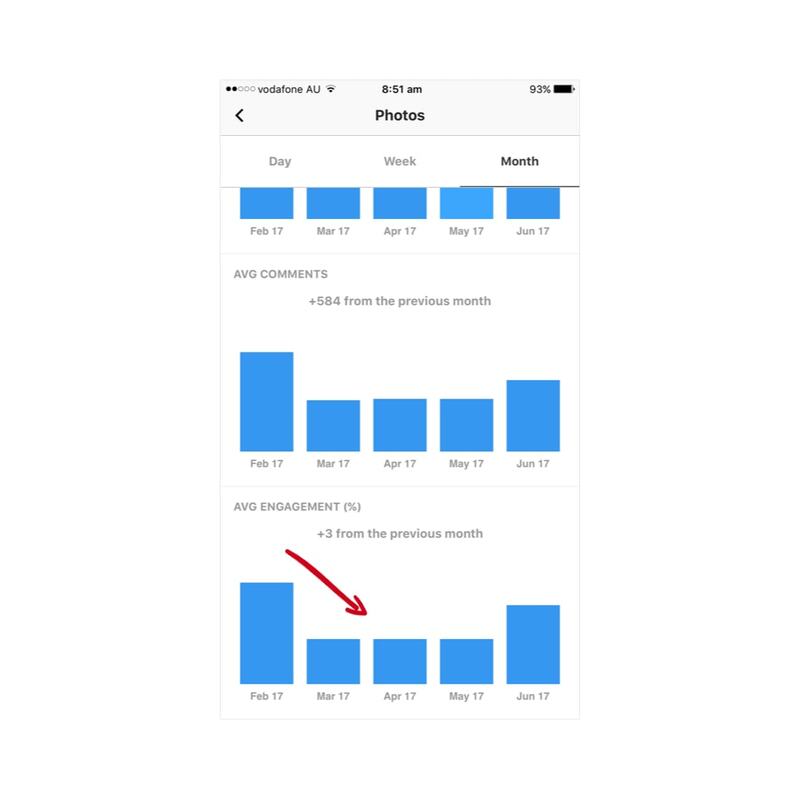 Scroll back up to the “Total Posts” section and tap on the blue bar of your top month. You will see the number of photos you posted that month. Did you post more or less than you are posting today? Posting more doesn’t always mean higher engagement. If you posted more + had higher engagement = Decide whether you want to start posting more again. Posting more will attract new eyeballs to your account for sure. However, I do not believe you should be posting more for the sake of it (it all depends on your goal). I believe in quality, not quantity. And so do your followers. Don’t alienate them. Stick to your new schedule if you want to keep posting less. Use another month as your benchmark. Make sure you build strong hashtag groups, post quality photos and interact a lot (comment and like other people’s photos). If you posted less + had high engagement = Maybe you don’t need to post as often as you think. Posting more might not benefit you. Take a step back and re-evaluate your content. Ok, now you know what type of posts people love and you know how many times you need to post. Time to plan your feed. If you’ve made it this far, you’re serious about your Instagram game. I like you. I cannot stress enough the importance of hashtags. That’s how people find you on Instagram. 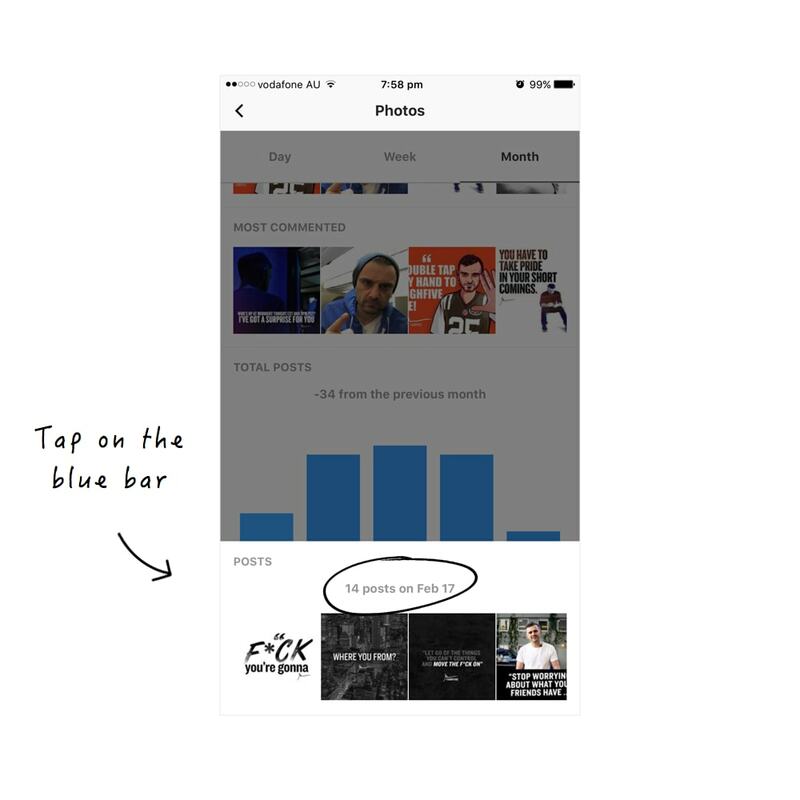 You need to use the right hashtags to get your post seen by more people (= more likes). Most importantly you need to use the right hashtags to be seen by the right people. The right people will stick with you. Do you know which hashtag gets you the most engagement, likes & comments? That’s going to be my next #PreviewAnalytics blog post. Subscribe and I’ll send you the link when the new post is live.